3. From the top of a lighthouse 153 m high with its base at sea level, the angle of depression of a boat is 150. The distance of the boat from the foot of the light house is? Let the distance of the boat from the foot of lighthouse is x meter. 4. What is the radius of the circle touching x – axis at (7.25, 0) and y – axis at (0, 7.25)? Given that, mean of 20 observations = 20. = 400 – (+ 6 + 12) + (18 + 4) = 400 – 18 + 22 = 404. 6. A water tank has X inlet pipes and y outlet pipes. An inlet pipe can fill the tank is 10 h while on outlet pipe can empty the full tank is 15 h. If all pipes are left open simultaneously it takes 18 h to fill the empty tank. What is the relationship between x and y? 7. 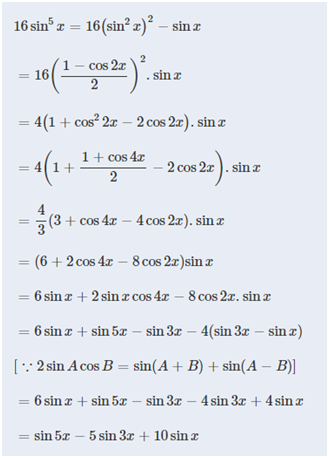 What is the maximum possible value of (31 sin x + 12cos x)? We know ratio of area divided by diagonals is same. 9. 1319 + 1119 will be divisible by which of the following number? So, 1319 + 1119 (13 + 1a) divides it. 24 and its factors also divide it so, 24, 2, 3 all divides it. 10. Find the number of degrees subtended at the center of a circle by an arc, whose length is 19.62 times the radius. 3) From the top of a lighthouse 153 m high with its base at sea level, the angle of depression of a boat is 150. The distance of the boat from the foot of the light house is? 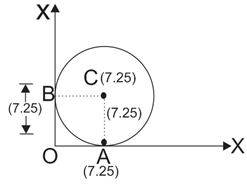 4) What is the radius of the circle touching x – axis at (7.25, 0) and y – axis at (0, 7.25)? 6) A water tank has X inlet pipes and y outlet pipes. An inlet pipe can fill the tank is 10 h while on outlet pipe can empty the full tank is 15 h. If all pipes are left open simultaneously it takes 18 h to fill the empty tank. What is the relationship between x and y? 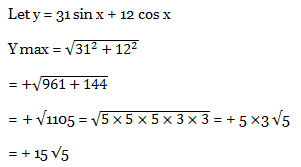 7) What is the maximum possible value of (31 sin x + 12cos x)? 9) 1319 + 1119 will be divisible by which of the following number? 10) Find the number of degrees subtended at the center of a circle by an arc, whose length is 19.62 times the radius.